1) It is my deepest hope that they lift your spirit as much as they have lifted mine. 2) The words encourage the reader to live life despite uncertainties, without impractical fears, and full of hope and conviction. 3) These words not only should be taught to and shared with others, but I truly believe that these words also demand to be imparted on others. You may be wondering what my love for John O’Donohue’s poetry has anything to do with incorporating Irish connections in my class discussions and lessons. After all, his words are just that, words, but to me words have always been so much more than just a specific combination of letters created to convey a message. Donohue’s final stanza contains words that are my life in Ireland incarnate in poetic form. In Ireland I was awake, adventurous, brave, open, and alive. In many ways, Ireland was like a teacher I had known all my life, and it is because of this fact that the act of creating and conveying English, History, Math, and Science lessons with a bit of an “Irish twist” comes so easily to me. How could it not? Speaking about Ireland, the place that molded me into the best possible version of myself, whether it is for amusement or for academic purposes, comes as easily to me as drawing breath in and then letting that breath slowly out. #5. Miss Provost really doesn’t like clowns; she likes snakes and bugs and spiders, but not clowns. #4. Miss Provost loves books and exercise…they’re her favorite things. Oh, and she uses the word metabolism way too much. #3. Miss Provost loves coffee…like, she REALLY loves coffee. #2. Miss Provost has three younger brothers who she loves very much, and one of them studies sharks! #1. Miss Provost could talk to us all day, all week, okay, all year about Ireland and how much she loved it there. – Ireland crept into my “How to Take Notes Like a Champ” lesson, given to the 3rd, 4th, and 5th grade classes at my school, as the note taking topic. – I taught the 3rd grade class at school how to Irish Step Dance, aided the lead teacher while she taught a math lesson using the Giant’s Causeway and its folktale, AND helped teach a food chain lesson using the animals found in Ireland’s Cliff of Moher habitat. – My 4th grade classes learned comma usage through some sentences containing interesting Irish facts. – Pictures of the Cliffs of Moher, King John’s Castle, Blarney Castle, the Poulnabrone, Inis Mor, Galway Bay, and, of course, the notorious “Angry Aran Islands Cow” (a picture, and story, I use as a humorous warning for rude behavior) have all made themselves manifest in PowerPoints, notes, presentations, and posters. 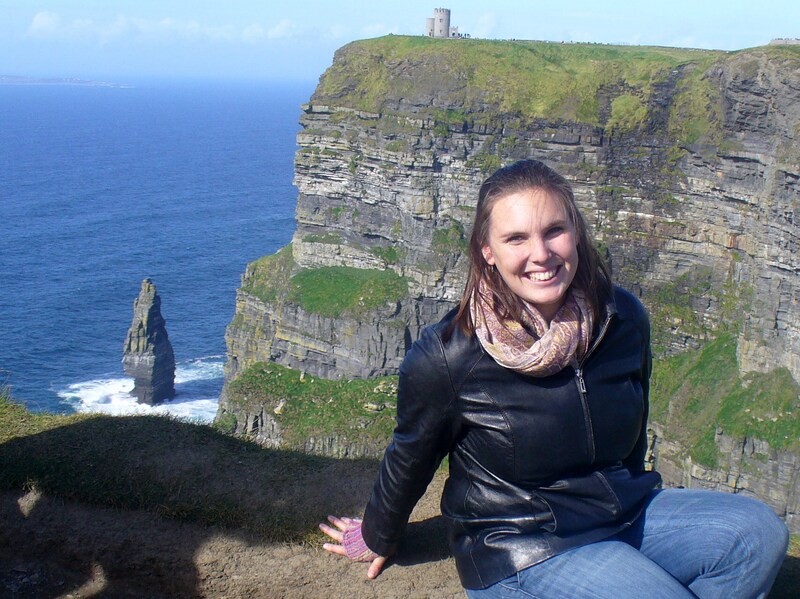 It’s wholly safe to say that my experiences in Ireland frequently pervade not only my mind, but also, most recently, the imaginations of my students at Chatham Day School. What most people don’t grasp right away, however, is that I don’t just see my Ireland adventures as mere stories, life examples, or unique teaching tools. Rather, my Emerald Isle explorations became instruments by which I was able to compose my life’s purpose and calling. To once again make reference to John O’Donohue’s words, Ireland awoke my spirit to adventure. It taught me never to hold back where my life’s adventures are concerned, and to learn to see risks as journeys in their own rights. It gave me the tools necessary for me to feel the rhythm inside of me that would aid in carrying me towards the experiences I was meant to have. It instilled in me a sense of strength and a genuine understanding of what I could bring to the world. I know that it doesn’t nearly say enough, but, with all of my being, I thank you. Thank you for making me take worthwhile risks. Thank you for leading me in the direction of my dreams. Thank you for allowing me to grow to love myself and see clearly my potential. It is my deepest hope that someday my words and actions will have an equally positive impact on someone in my life, be that individual a student, a friend, or a random passerby.